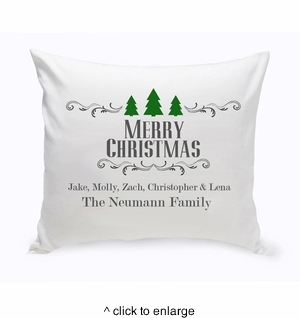 DETAILS: Personalized Holiday Throw Pillows with Christmas designs for the whole family to love! Each pillow is personalized and pressed to perfection. Zip-off cotton fabric cover perfect for easy cleaning. Machine wash cold to avoid shrinkage.